Why is my 15 months old GSD still biting on things? 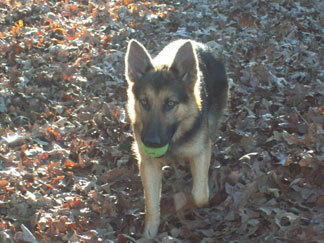 I have a german shepherd which is about 15 months old. She has a bad habit of biting at night. Most of the time,i let her out without confining her in her cage. I thought at her age,she should have stop biting by now. Why is she still keep on biting things? What can i do to stop her from biting? Thanks! I can summarize it in 1 word - Training! Training! Training! 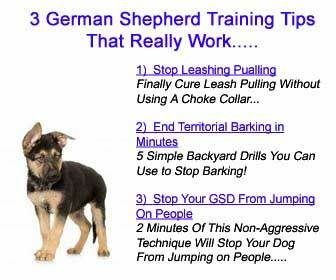 Check out the banner below to learn more about this one dog training course.